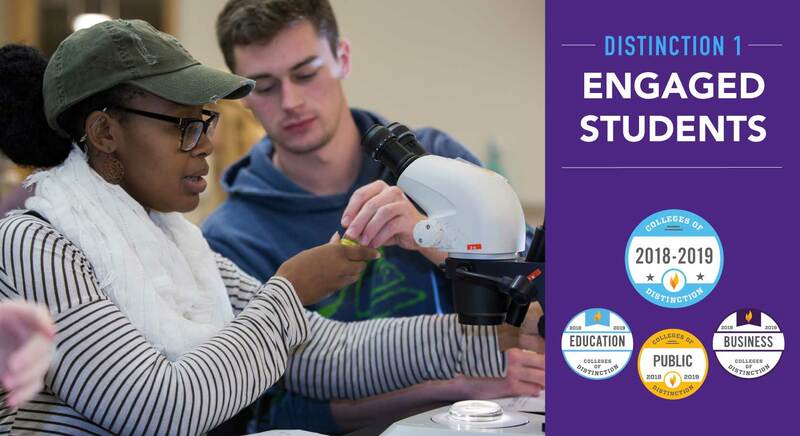 For the second consecutive year, the University of Wisconsin-Whitewater has been named among the Colleges of Distinction — a national honor that recognizes campuses for exceptional teaching and dedication to student success. 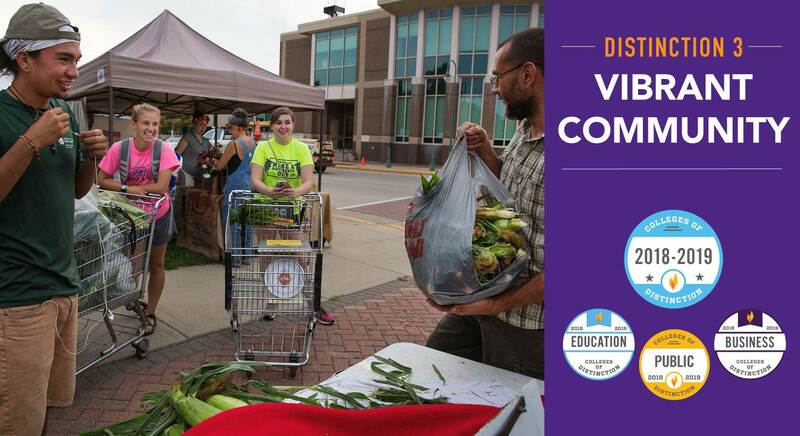 “Most college guidebooks and rankings publications focus on traditional quantitative measures to compare institutions, whereas Colleges of Distinction includes universities that have distinguished themselves through qualitative aspects of the college experience,” said Lynsey Schwabrow, chief of institutional research and planning at UW-Whitewater. 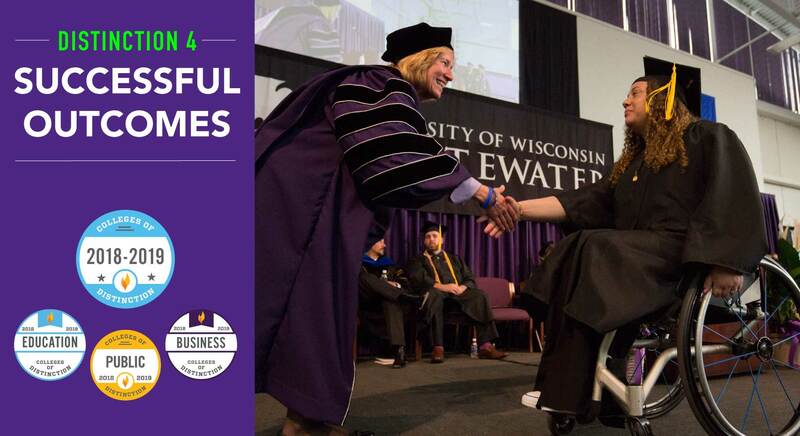 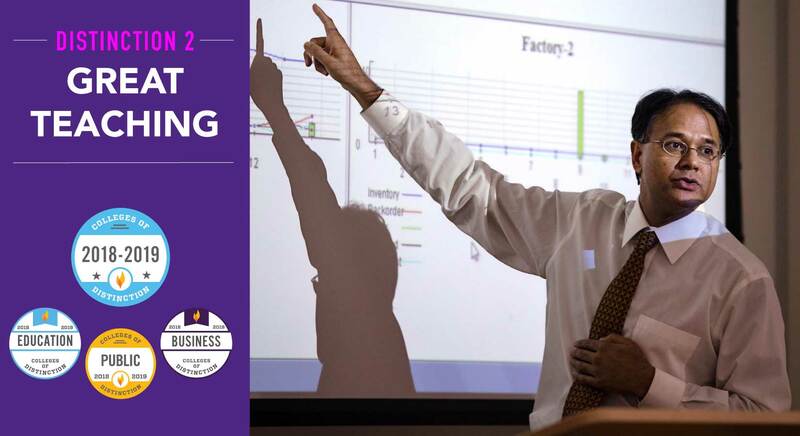 In addition to receiving the campus-wide badge of distinction, UW-Whitewater earned additional badges to highlight the university's excellence in business and education, and as a public institution.